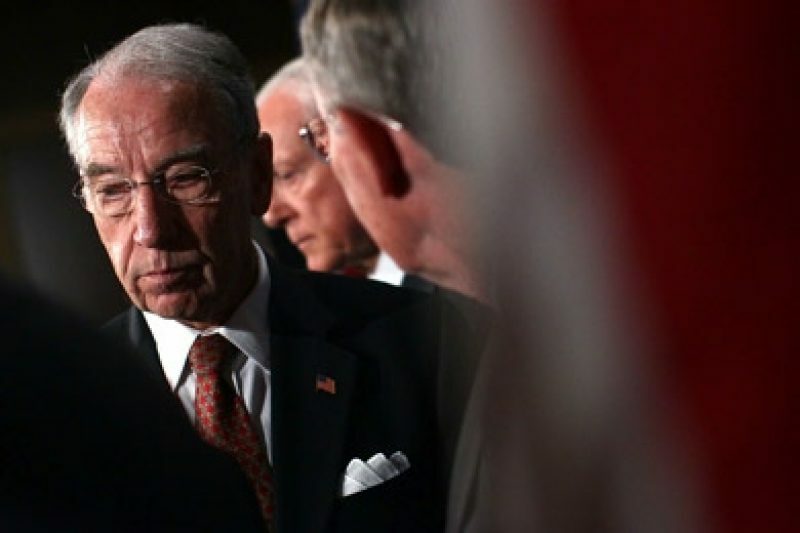 In response to a joint investigation by PBS' Frontline, McClatchy and ProPublica, Iowa Sen. Charles Grassley and two congressman said that it is unlikely that the FBI will reopen its investigation into the anthrax cases. Even if he were the committee chairman, Grassley said, "I would question my capability of raising enough heat (to reopen the case) when you're up against the FBI. And I've been up against the FBI." 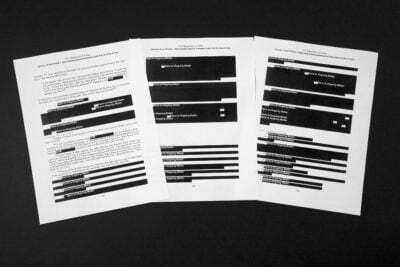 Members of Congress commented after PBS' Frontline, McClatchy and ProPublica, in a joint investigation, disclosed evidence that's at odds with some of the science and circumstantial evidence behind the government's conclusion. "There are so many reasons to want to get to the bottom of it," Holt said in an interview. "I hate to think of what lines of investigation have been shut off." Holt, who is a physicist, traced some of the resistance to the fact that Congress "has never felt comfortable dealing with scientific issues," as well as to the public wishing to forget "an unpleasant occurrence." Rep. Jerrold Nadler, a New York Democrat who has supported Holt's bill, "is frustrated that the FBI has failed to answer all of his questions," said his spokesman, Ilan Kayatsky. However, Kayatsky said, "it does seem unlikely at this time that they will reopen their investigation." Ivins, a mentally troubled father of two who worked for 27 years at the U.S. Army Medical Institute of Infectious Diseases (USAMRIID) at Ft. Detrick, Md., committed suicide on July 29, 2008, not long after learning that federal prosecutors were preparing to seek his indictment on five capital murder charges. Last year, prosecutors closed the FBI's eight-year, $100 million investigation and formally branded him the killer in a 93-page report that laid out extensive evidence against him. Nearly all of the evidence was circumstantial, however, and PBS' Frontline, McClatchy and ProPublica, in a one-hour documentary and a three-part newspaper series, disclosed evidence challenging prosecutors' assertions. Assertions that science showed that Ivins' flask was "effectively the murder weapon." A panel of the National Academy of Sciences and two scientists who worked on the FBI investigation described holes in that and other laboratory conclusions. The lead prosecutor in the case, Rachel Lieber, dismissed these and other anomalies, saying that the "big picture" consisting of a vast "mosaic of evidence" presented a powerful case that Ivins' mental problems drove him to commit the crimes. Former FBI agent Brad Garrett, a profiler who advised agents in the investigation periodically before retiring in 2006, said that Ivins fits the mold of the suspect the bureau was hunting, because he was "a really super angry guy ... and dangerous on some levels. He clearly had grudges with people." However, no direct evidence has confirmed that Ivins held grudges against the media outlets to which the letters were sent. To reopen the case, Garrett said, would take "something fairly compelling ... somebody comes forward [or] there's a new piece of evidence that links it to somebody else."